Maybe 1998, when the Canadiens took Eric Chouinard, the Kings chose Mathieu Biron, the Avalanche drafted Scott Parker, and the Sabres selected Dmitri Kalinin, leaving the Flyers Simon Gagne with the 22nd pick? Perhaps 1979, when in maybe the best draft there ever was, the Rangers took Doug Sulliman at No. 13, leaving Brian Propp for the Flyers at 14? Or 1972, when the Canadiens selected Bunny Larocque sixth, right before the Flyers chose Bill Barber seventh? As far back as even 1969, when every team in the NHL passed on Bobby Clarke, including the Rangers three times before Philadelphia selected him 14th? Somebody had to screw up big time each of those years for the Flyers to get big-time players that deep in those drafts. That wasn’t the case Friday night when the NHL divided up a motherload of 18-year-old talent said to be the best since 2003, if not all the way back to 1979. Still, to have a kid who many thought was the best defenseman in an excellent draft get through six picks is an incredible stroke of good fortune that will remain true even if Connor McDavid, Jack Eichel, Dylan Strome, Mitch Marner and Pavel Zacha all go on to star. “I think if you were going to finish seventh to last in the league, this is the year you want to do it,” said Hextall. 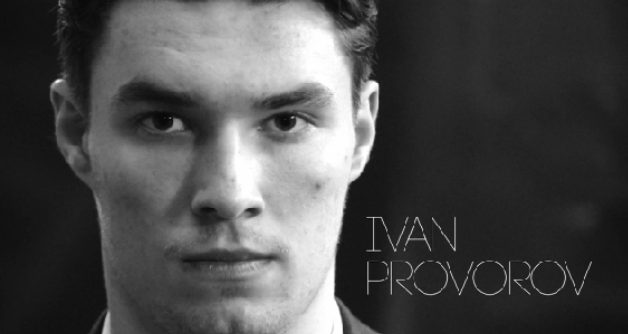 “There’s a lot of years where the seventh pick is nowhere near Ivan Provorov. The Flyers GM wasn’t content to just wait for the dominoes to fall, tried to move up before deciding the price was too great. “I thought it was 50-50,” Hextall said about the view at 7 p.m. “I think when Phoenix made their pick (Strome instead of either Provorov or Noah Hanifan) I felt a lot better about it. “It played out well for us. Now, of course, it has to play out well for the next 15-18 years. But you don’t hear anybody from any team who has watched Provorov play utter a skeptical word about him. “He’s a really well-rounded 200-foot player,” said Hextall. “Really good skills. Defends well. 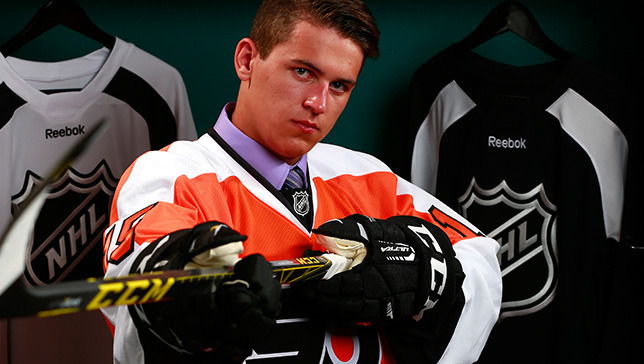 So is Travis Konecny, whom the Flyers moved up and drafted at 24, never mind he is 5-9. Obviously, 20 teams did mind at least a little that he is 5-9 or else a skilled player who is a captain at age 17, who was the first player taken in the OHL draft, would have gone higher, but the Flyers didn’t flinch. “We were more surprised that he was there and we could move up than we were with Provorov,” said Hextall. “He’s an extremely gritty player, hard-nosed, goes to the net. “He does play bigger than his size, has a motor that runs all the time. He’s got a real good skill level, makes a lot of plays, can score goals and I think his character is top shelf. “When you’re a smaller guy, you’ve got to have instincts and he does. You don’t want to expose yourself to hits all the time, so he’s one of those guys that’s got a terrific will. A good night got better when the Leafs called Hextall back just before the 24th pick and said they would trade it for No. 29 and No. 61. You expect to get this fortunate every 15 years or so.